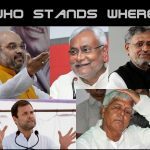 Home Critics court Who lost Gujarat elections? Rahul Gandhi or Congress? Enough has been said and done in Gujarat during last two months for winning one of the most prestigious elections both Congress and BJP have ever fought. False promises, blatant lies, speculations, dirty manipulation of Gujarati sentiments, unethical media coverage and foul language have been some of the highlights. Now when reality has slapped on the face of falsehood, question arises as to whose fault it is? Rahul Gandhi, a trainee leader, or the Congress, the grand old scandal ridden party? In all fairness, it’s not Rahul Gandhi alone who owns the blame. He did what he was told to. Sure he is not a kid that he had to do whatever he was told to but that’s another issue. Looking at the Congress tradition it is not new to see a front line leader acting as a puppet in the hands of people pulling the string from behind the curtain. Starting from Javaharlal Nehru to Manmohan Singh, this tradition has remained intact and now with Rahul’s coronation as the Congress president, the same tradition is likely to continue unhindered. His confused style of campaigning in Gujarat was a hint on what’s coming. 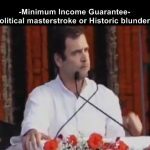 It was the Congress party’s policy makers who asked Rahul Gandhi to jump into a misadventure despite knowing that he was no match for Narendra Modi, despite knowing that Congress would lose in Gujarat, and despite knowing that Gujaratis, who lead the world in trade matters, were not fools to buy their misrepresented GST and demonetization cards. Perhaps Rahul Gandhi himself also knew what he was getting into but had no choice as he was ordered by those pulling the string. To say he did not know it would be insulting his political wisdom, whatever he may have. Seemingly, it was Congress controllers sitting somewhere outside India who made this turmoil for the party. 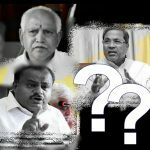 Their age-old polices of divide and rule, making communities fight in the name of religions, promoting communalism in the name of secularism, and their new ill-fated strategy of caste based politics did not help them much except getting a few more seats. On the other hand, they exposed their mindset of dividing India, dividing states, dividing religions and dividing communities to win votes. Looks like the Congress has got used to defeats. They don’t seem to learn even after losing many state elections. I would say the latest defeat in Gujarat belongs more to the Congress party than to Rahul Gandhi although he also has his fair share. Not only Gujarat, the Congress lost even Himachal Pradesh elections where it was the ruling party. It appears that the policy makers knew well that the Congress will lose both the elections so why not focus on Gujarat, the homeland of Prime Minister Modi and BJP president Amit Shah? If won, they would shoot the rhino, and if lost, they could walk away saying Rahul Gandhi gave a brave fight. This is exactly what they did after the results emerged. One thing we need to acknowledge. For whatever political reasons, Rahul Gandhi has said that he is a Shiv bhakt. None has the right to challenge this. Anyone can be a devotee of Lord Shiva, and even if one is not, if he says he is, Lord Shiva, being extremely merciful can accept him as his devotee. What is required, however, is to continue visiting temples and praying to the Lord, and not shy away by saying Congress believes in secularism. The fact is different. Congress party’s actions show it does not believe in secularism. From even before this great country was divided into two, Congress, under the influence of British rulers, has embraced covered communalism and that’s how they ruled for decades. 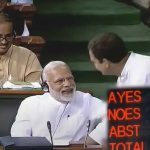 It is to the credit of Narendra Modi and his team that the truth is getting uncovered and will hopefully continue to expose all facets of hypocrisy in the future. 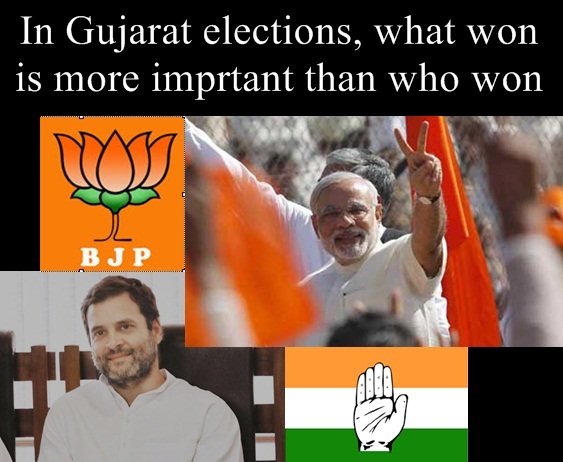 In Gujarat elections, what won is more important than who won. 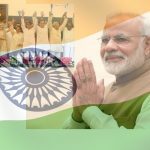 Although the margin is not that impressive, the victory is unique in the sense that it is a victory of unity over divisive forces, it is a victory of decency over duplicity, and it is a victory of development over dirty politics. As the Prime Minister cautioned Gujaratis and Indians in general, there are all possibilities that in order to win upcoming elections, the many divisive forces operating from within India will keep pouring communal poison in the minds of peace-loving citizens of India. People of India need to be vigilant and thwart all such evil attempts with their age old wisdom. Let India remain united despite its diverse culture. Let the so called secular parties not misguide innocent public in the name of equality. Let good sense prevail.